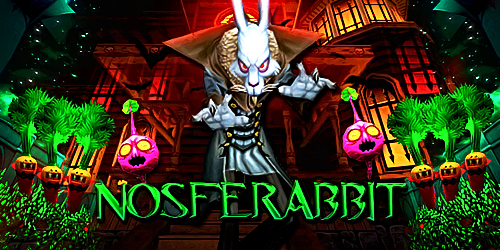 It's the time of the year for Halloween, and that means spooky things are happening in Wizard101! 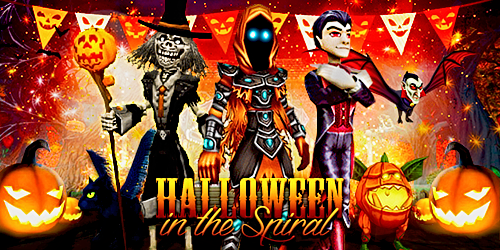 All your favorite Halloween friends are back with their ghostly items, to get your Wizard into the Halloween spirit. Plus, the classic Halloween quests have returned! There are lots of Halloween decorations: bubbling cauldrons, apple tubs, pumpkins and ghosts, and surprises all over Wizard City. But beware, a boss is returning to test your skills! Check out the brand new Halloween-themed pack available in Wizard101 Crown Shop and join the battle between good and evil! Jack Hallow can be found in the Wizard City Commons and brings back the original Halloween quests, where you will be sent on many adventures throughout the different zones of Wizard City! Additionally, Nosferabbit is back to haunt the Wizard City inhabitants. 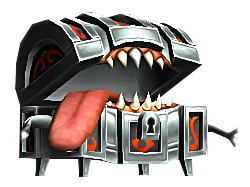 Wizards Level 13 and above should talk to Dworgyn in Nightshade, to start the quest "Something Rotten in Nightside". While you're in the Wizard City Shopping District, don't forget to visit Spooky Bob, the traveling salesghoul, to find the perfect costume for the occasion. The Halloween costumes are back in the Crown Shop, as well as the Halloween Pets. 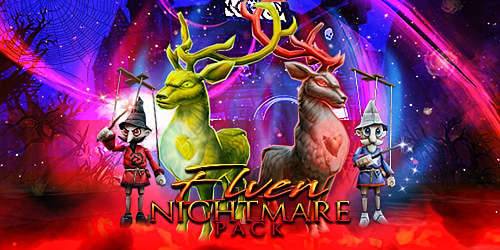 The Halloween Packs have also returned for the occasion! The waters of Wizard City are lurking with special, mysterious Halloween fish for your Wizard to catch this year. Some of these fish are so spooky, you may want to put them back in the water! Can you catch the Black Catfish (Death), Frankenfish (Storm) and Vampire Squid (Death)?